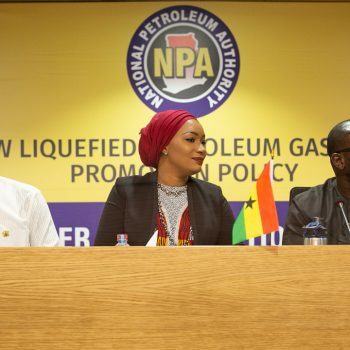 Chief Executive of the National Petroleum Authority (NPA) Hassan Tampuli, says the Authority is working hard to ensure petroleum products consumed by the public are of the highest quality, and the right steps will be taken to ensure that is not comprised. 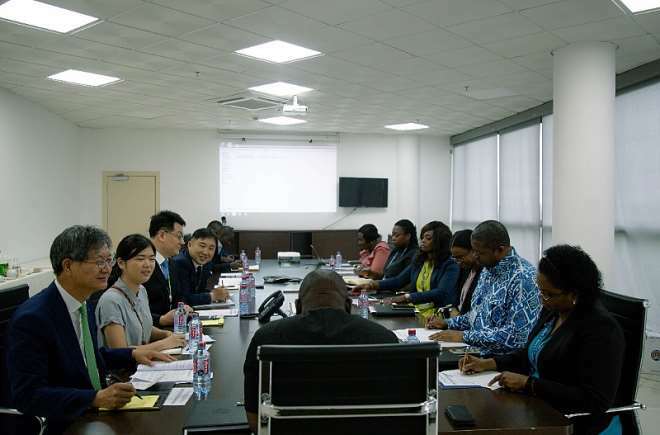 Interacting with a delegation from Korea Petroleum Quality and Distribution Authority (K-Petro) in Accra on Wednesday, Mr Tampuli said improving the petroleum quality and distribution systems are critical to the operations in the downstream sector, and the right steps will also be taken to ensure service providers abide by the drive to improve service quality. 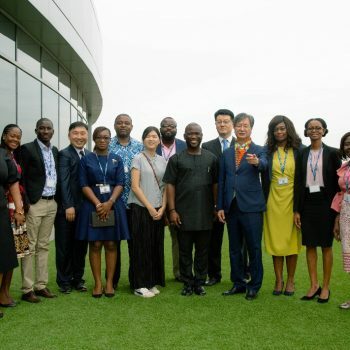 The delegation is in the country to explore partnership opportunities with the NPA, which will ensure the latter taps into the expertise of the Korean company in the areas of product quality, distribution and consumption. Inspection and monitoring of petroleum products at various retail outlets have always been undertaken by inspectors from the NPA, but Mr. Tampuli said the exercise will be scaled up, and sees a partnership with K-Petro as an important part of that plan. He said existing inspection of petroleum outlets will continue to be intensified, while encouraging the Oil Marketing Companies and other service providers in the sector, to play their part. 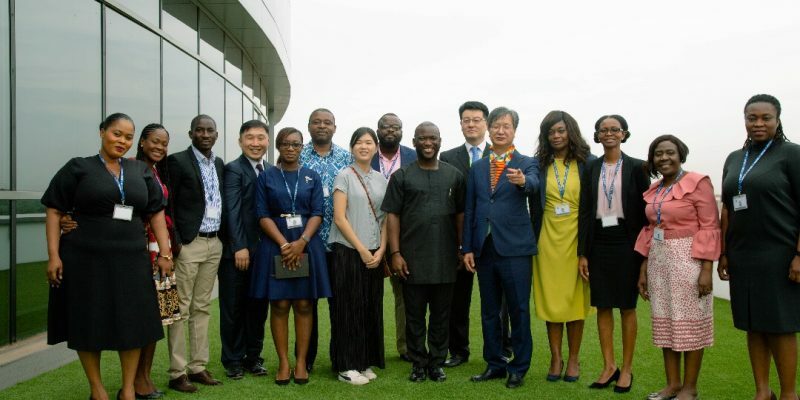 Chief Executive of K-Petro Son Joo-Suk, who led his team to the NPA, expressed optimism that the partnership will inure to the benefit of the consumer. The agreement between the two parties meant an opportunity to share technical expertise, improve ongoing fuel marking and testing systems. He said the Cylinder Recirculation Module is the sole reserve of indigenous companies. Mr. Tampuli noted that the local equity participation in the downstream petroleum sector has been increased from the initial 51percent to 100percent by Cabinet. According to him, this allows local investors the fair opportunity to fully participate and compete in the LPG distribution to improve the local economy. “The business is for Ghanaians, not Ghanaians who are standing in front of some foreigners because we will look beyond you to see whether there are some foreigners behind you and will take the appropriate action. We will not permit anybody to front because we want Ghanaians to take the commanding heights of this particular cylinder recirculation model,” Mr. Tampuli intimated. He said this at a regional stakeholder engagement in Accra aimed at educating the public on the implementation of the cylinder recirculation model for the distribution of Liquefied Petroleum Gas (LPG). Mr. Tampuli posited that the CRM which is the implementation model for the National LPG Policy, is aimed at providing direction for marketing and distribution of LPG in a safe and efficient manner. He added that the model which also seeks to facilitate an increase in access to LPG nationwide will ensure that at least 50percent of Ghanaians have access to safe, clean and environmentally friendly LPG for domestic, commercial and industrial usage by 2030. According to him, the CRM will create over 4,500 direct jobs under the actors of the new value chain and door to door delivery service. “This does not affect current jobs of LPG Bulk Transporters, LPG Bulk Distribution Companies, and LPG Bulk Storage companies,” he intimated. In addition to the above jobs created, Mr. Tampuli stressed that the Authority will recruit over 200 Safety Auditors throughout the country as well as recruit additional resource for its newly established Health Safety Security and Environment department. “There will also be a number of indirect jobs created for installations, maintenance, fabrication and other services. New investment opportunities such as bottling companies, bottle transportation, manufacturing of cylinders and cylinder re-distributors would also be available for grab,” the NPA boss emphasised. The National Petroleum Authority (NPA) says it will be converting 510 high risk Liquefied Petroleum Gas (LPG) stations into cylinder distribution centers, when the Cylinder Recirculation Model (CRM) takes off completely. 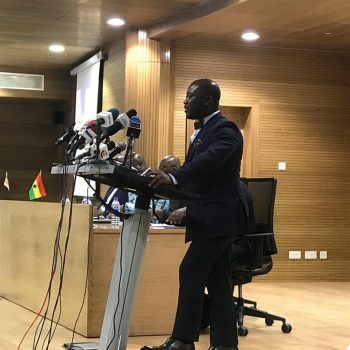 This, according to the Authority, follows Cabinet’s decision to implement the CRM after the unfortunate LPG explosion incident last year at Atomic Junction, near Accra. “What this means…they will no longer be permitted to fill cylinders or autogas when the CRM fully rolls out. Low risk stations will however be considered for autogas refilling centres only with improved standards,” chief executive officer of NPA, Alhassan Tampuli, said. The signing of the declaration by chief executives of oil marketing companies at the start of the year forms part of key activities of the petroleum safety campaign launched in October 2017. The campaign is intended to raise awareness on adhering to safety protocols in the petroleum downstream industry, and educating the public on their role in preventing fires at all petroleum installations and other locations in the country. According to Mr Tampuli, the gas explosions at Atomic junction and Krofrom were due in part to either unavoidable accidents or negligence on the part of the handlers of the equipment and installations. “These accidents have necessitated the rolling out of an intensified inspection and monitoring activities by the Authority to ensure health, safety, security and environment standards are strictly adhered to,” he added. 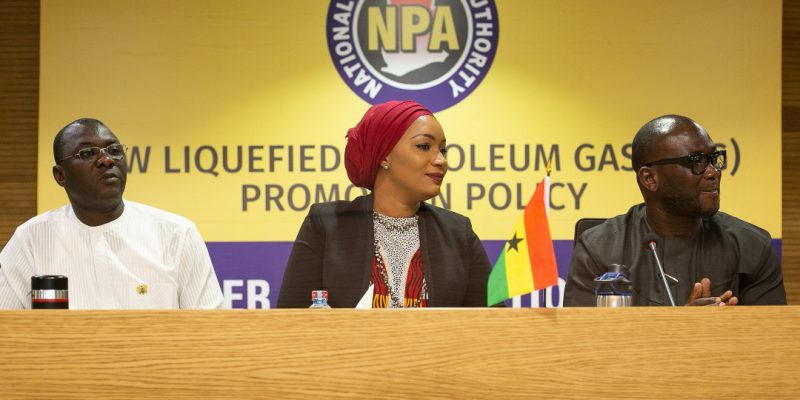 The NPA boss further noted that it would be operationalizing its centre of excellence this year to among others provide capacity building for various operators in the industry to enhance their skills and knowledge in the safe handling of petroleum products. 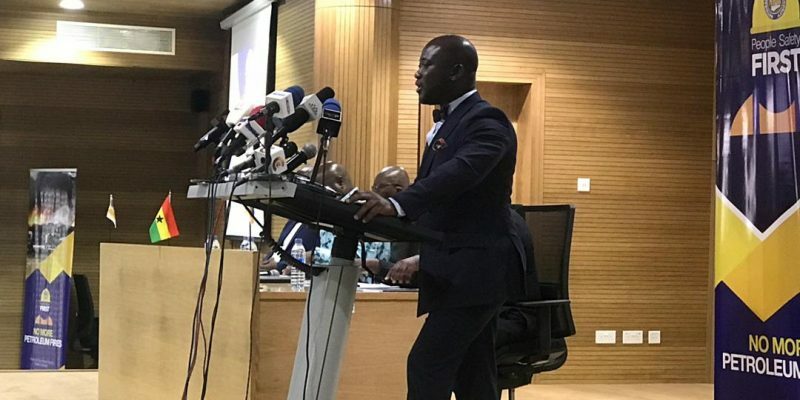 Deputy Minister of Energy, responsible for finance and infrastructure, Joseph Cudjoe, expressed satisfaction at the work being done by the NPA to ensure industry players under their watch adhere to safety procedures. “A safety conscious sector gives the consumer confidence, thereby driving growth and efficiency” he indicated. He urged industry players to take the bold step of adhering to industry safety standards through industry associations and peer review and where necessary expose their peers who are not keeping up with the industry standards. “This will not only complement the role of our regulators but will embolden them to take decisive disciplinary actions against offending industry players based on industry recommendations,” he added. 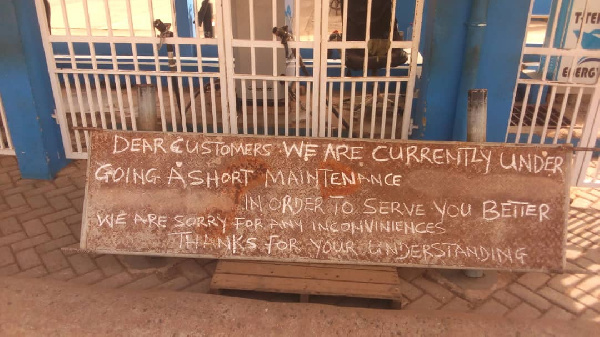 The allegations by members of the Ghana Liquefied Petroleum Gas Operators Association (GLiPGOA) that the National Petroleum Authority’s (NPA’s) recent shutdown of T-Terkpor Gas Refilling Station is an attempt to destroy local investments for multinationals to takeover has been treated with a pinch of salt. 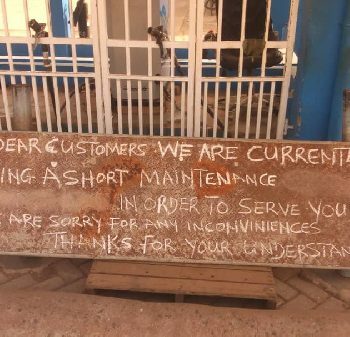 T-Terkpor Gas Refilling Station has dragged NPA to court for shutting down the station at Afariwa Junction in the Ashaiman Municipality. The decision to shut down the station followed the Multi Stakeholders’ Committee (MSC) recommendations and a petition by Charles Kissi, the Assembly Member of the Area to the Energy Ministry to close down the facility because of the danger it poses to two adjoining schools-Tema International School and Tema Ridge School. But the Torgbe Adaku V, President of CLiPGOA noted that NPA activated this agenda when instead of helping find a lasting solution to some of the hazards of handling LPG rather shockingly decided on collapsing all their stations across the country with the introduction of a Cylinder Recirculation Model although this has been known to be a rather more dangerous policy whose effects in several countries across the world has been disastrous. 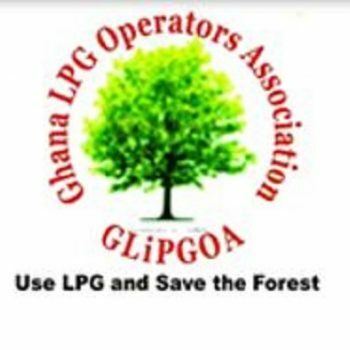 The NPA, in a statement issued by the Corporate Affairs Division has accused CLiPGOA of sabotaging the National LPG Policy. 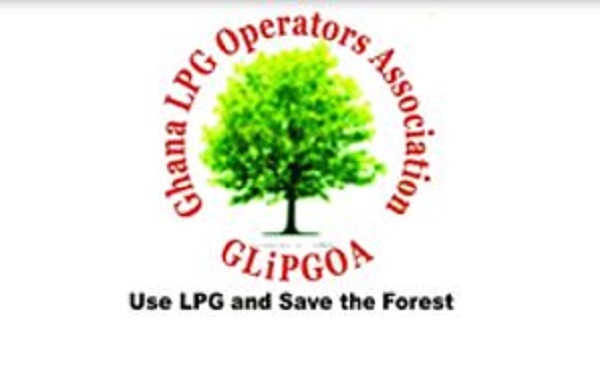 “The NPA is aware of the attempts by GLiPGOA to undermine the entire National LPG Policy, which will not only create additional jobs but increase public safety in the downstream sector,” the statement said. According to the statement, the allegations by Torgbe Adaku V and CLiPGOA members are vile, defamatory, threatening and a deliberate attempt to sacrifice public safety for personal financial gains. REJOINDER: HALT THE RECKLESS VICTIMISATION OF OUR BUSINESSES IMMEDIATELY. According to the statement, Goby Gas Station and T-Tekpor Gas Station have been specifically targeted by the NPA. The NPA as a Regulator operates within the law and is mandated to ensure that operations in the sector are conducted in a safe and standardized manner, and stations in breach of safety standards will be sanctioned after due process to ensure public safety. The NPA respects the rule of law and the work of the judiciary and awaits the outcome of the court action been filed by T-Terkpor. That said, the NPA wishes to categorically deny the allegations made by Torgbe Adaku V and members of GLiPGOA. The allegations are vile, defamatory, threatening and a deliberate attempt to sacrifice public safety for personal financial gains. The NPA is aware of the attempts by GLiPGOA to undermine the entire National LPG Policy, which will not only create additional jobs but increase public safety in the downstream sector. The NPA has a duty of care to the general public and that will always guide our operations. The NPA wishes to reiterate its commitment to working with players in the industry to ensure the implementation of the Cylinder Recirculation policy as directed by the Government. We shall however not give in to threats from any individual or bodies seeking to undermine our work. America’s “Generation Energy” has achieved something that seemed impossible: an increase in energy consumption coupled with a consistent decline in carbon dioxide emissions to the lowest in several decades. That’s what the chief executive of the American Petroleum Institute told a news conference at the annual State of American Energy address. “Every generation has its own defining challenges, and its own defining accomplishments. We call this one ‘America’s Generation Energy’ because of a remarkable dual achievement: meeting record world energy demand while driving record CO2 emissions reductions. Thanks to America’s Generation Energy and its cutting-edge innovations, the U.S. energy outlook is stronger than ever,” Mike Sommers said. Indeed, data from the World Bank shows that CO2 emissions in the United States fell to the lowest level in 50 years in 2012 on a per capita basis. At the same time, oil and gas production has been growing, especially in the last two decades thanks to the shale revolution. However, it’s worth noting that emissions have not been falling throughout these 50 years: there was a consistent decline over the three years to 2017 but now, CO2 data from emissions tracker Rhodium Group suggests, these may have actually risen in 2018, by 3.4 percent. At the same time, imports, including from OPEC, stood at over 10 million bpd for all but two months in the May-October period, falling to 9.42 million bpd in October. In other words, the United States remains a net oil importer despite occasional peaks. Over the May-October 2018 period, crude oil imports from Canada alone were double the average rate of exports, at 4-4.55 million bpd. Another outtake from the API’s annual State of American Energy address was a poll seeking to gauge the sentiments of Americans towards the domestic energy industry. The poll found that the overwhelming majority supported the growth in local crude oil and natural gas production and the increased development of energy infrastructure. As much as 77 percent of the 1,000 participants in the survey said they supported policies in favor of the energy industry, according to API’s chief executive, with 90 percent seeing “personal value” in crude oil and natural gas. Some 83 percent saw oil and gas as “important for the future”. The results of the poll are hardly a surprise, despite a lot of vocal opposition to pipelines and drilling on federal lands. Rising local production of oil and gas has had an overall positive effect on household spending and as the poll suggests most people are happy about it whatever the side effects of more drilling environmentalists protest against may be. The investment bank says that the plunge in oil prices has “overshot,” with the selloff having been magnified in December due to the global financial turmoil. To be sure, the fundamentals did turn negative, with weaker expectations for demand, weaker time spreads in the futures market, and higher inventories. In the short run, the ramp up of OPEC+ supply before the December decision to slash output will take time to filter through the market. Morgan Stanley argues that a similar thing happened the first time around when OPEC+ agreed to cut production at the start of 2017. Producers ramped up output in the weeks and months ahead of the deal, and that new oil set sail just ahead of the implementation of cuts. Floating storage has already begun to creep up, and the corresponding deterioration of timespreads has also occurred. The Brent forward curve has moved more sharply into contango recently, a situation in which near-term prices trade at a discount to longer-dated futures. Both floating storage and the contango are symptoms of a marker that is well- or over-supplied. The OPEC+ cuts are phasing in, but will take time to have an impact. Morgan Stanley slashed its oil price forecast by $8 per barrel, expecting Brent to average $61 this year, down from a previous estimate of $69. But the investment bank does see a “partial rebound” of Brent oil prices into the mid-$60s. The bank says that the oil market was oversupplied by about 0.6 mb/d in 2018, but things look better this year. “With demand growth in 2019 of ~1.2 mb/d and year-on-year decline in OPEC supply of 1.1 mb/d, offset by non-OPEC growth of ~1.6 mb/d, we expect supply and demand to be broadly in equilibrium over the year, an improvement over 2018,” Morgan Stanley concluded. Of course, the situation is dynamic. The decision of OPEC+ to slash output will help boost prices, but that also makes it less likely that U.S. shale growth will slow. In 2020, shale output is expected to grow by even more, after the inauguration of new pipelines unlock new supply later this year. Wood Mackenzie and Rystad Energy both see non-OPEC output growth of between 2 and 3 mb/d in 2020, which will exceed total global demand growth. That suggests that the OPEC+ cuts might need to remain in effect beyond this year, although that also means the cartel cedes even more market share. It’s a riddle that Saudi Arabia and its partners will be hard pressed to figure out. One consequence of U.S. shale continuing to grow while OPEC+ countries keep barrels off of the market is the increasing shift towards lighter oils in the global crude slate. Oil from West Texas tends to be light, while barrels from Saudi Arabia are more of the medium variety. Prices for gasoline and naptha have grown increasingly weak – a result of the surging supply of light oil. Meanwhile, medium and heavy supplies are less abundant, and diesel prices reflect that. This light/heavy disparity could grow as the year wears on, with the impending regulations on marine fuels from the International Maritime Organization (IMO) set to take effect at the start of 2020. The IMO rules will force dirty fuel oil out of the mix for ship-owners, and diesel and other distillates will be called upon to fill the void. Analysts have long predicted that the IMO rules could drive up global crude oil prices. For now, WTI is trading just above $51 per barrel and Brent at $61. Analysts are not suggesting a return of last year’s price levels, but the consensus seems to be that the late-December plunge went too far. “We think the rally in oil prices has further to run in Q1,” Standard Chartered wrote in a note on January 10. Goldman Sachs reduced its outlook for oil prices this year citing abundant supply, Bloomberg reports, quoting a note to clients. The investment bank’s analysts now expect Brent crude to average US$62.50 a barrel this year, down from an earlier projection of US$70 a barrel. West Texas Intermediate, according to Goldman Sachs, will average US$55.50 a barrel, compared with an earlier estimate of US$64.50 a barrel. The price outlook revision was motivated by expectations of another glut despite the OPEC+ production cuts aimed at removing 1.2 million bpd from the global market and continued growth in U.S. shale oil production, as well as higher output in Brazil and Canada. The bank’s analysts said, with regard to their expectations of oversupply, that OPEC produced a lot more crude oil in the last months of 2018, which means the cartel begins 2019 with more total production than it had at the beginning of last year, when larger production cuts were in effect. What’s more, the Goldman analysts noted, pipeline bottlenecks in the Permian, which have pressured WTI previously, will likely clear faster than expected, driving a price rise in the U.S. benchmark. “We expect that the oil market will balance at a lower marginal cost in 2019 given higher inventory levels to start the year, the persistent beat in 2018 shale production growth amidst little observed cost inflation, weaker than previously expected demand growth expectations (even at our above consensus forecasts) and increased low-cost production capacity,” analyst Daniel Courvalin wrote in the note. The forecast update, however, comes days after the latest quarterly Dallas Fed Energy Survey revealed business activity in the U.S. oil and gas sector slowed down considerably in the fourth quarter of the year as benchmark oil prices plunged by over a quarter, suggesting shale oil production growth may slow down in 2019. The U.S. entered the peak winter demand season with gas inventories at a 15-year low, which left the natural gas markets vulnerable to unexpected bouts of cold weather. In November, Henry Hub natural gas prices jumped as high as $4.80/MMBtu, the highest price in roughly four years. The combination of low inventories, structural increases in gas demand from new power plants and exports, and the seasonal spike in demand from cold weather, led to a sharp and sudden spike. But sky-high prices did not last long. By mid-December, natural gas prices were back below $4/MMBtu, and by early January, prices had fallen back to $3/MMBtu. Inventories are still significantly below the five-year average. As of the last week in December, gas storage levels stood at 2,705 billion cubic feet (bcf), according to the EIA, or 450 bcf lower than at the same point a year earlier and 560 bcf below the five-year average. In other words, prices fell despite the fact that the total amount of natural gas in storage is historically low. Prices came down at least in part because January has started off with mild weather, easing pressure on supplies. Another reason why natural gas prices fell back is precisely because prices rose to painfully high levels. Utilities dialed back on gas-fired generation, while coal plants ramped up operations. As such, there is somewhat of an automatic cap on prices if they rise too high. 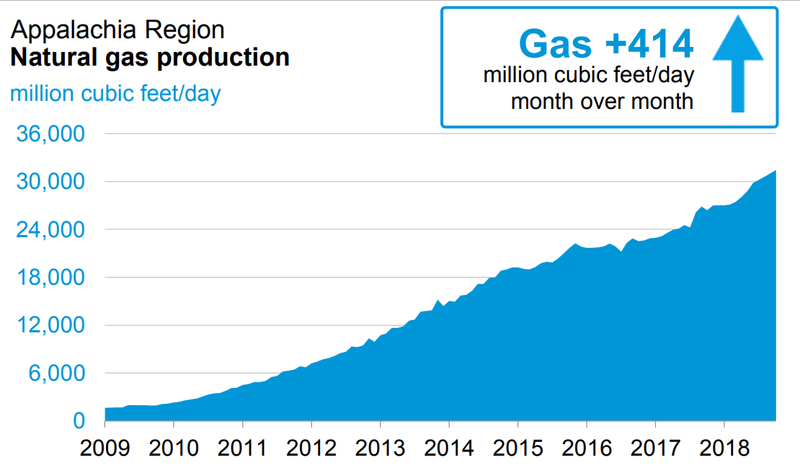 Demand destruction and generation alternatives ease pressure on gas markets.Related: Has U.S. Fracking Activity Peaked Already? Yet another reason why gas prices fell back from November’s highs was because of financial positioning from speculators. Hedge funds and other money managers bought up bullish positions in the weeks and months preceding the November price spike. Once prices rose close to $5/MMBtu sentiment began to shift. Utilities began to curtail gas generation, mild weather moved in, and the cycle seemed to head in the other direction. Investors sold off their bullish positions, which helped drag prices down. But prices could fall even further. In fact, Bank of America Merrill Lynch argues that there could even be “congestion” at storage facilities as soon as this summer. “Looking into the months ahead, continued mild weather this winter could bring forward the risk of storage congestion to summer 2019, putting the forward curve at risk of even lower prices,” Bank of America Merrill Lynch wrote in a note. Downward pricing pressure could continue in the weeks ahead. Current weather models put U.S. natural gas demand at roughly 10 bcf per day (bcf/d) below average for the first half of January, “bailing out ill prepared consumers,” BofAML wrote. Even if the mercury does plunge unexpectedly, which would drain U.S. natural gas storage levels down to historically low levels, it may not be too much of a problem. “Cold weather during the balance of winter could lead to total inventories near 1.2 tcf by end of March, but is unlikely to be much of a concern given robust injections expected this summer,” BofAML said.Related: Who Are The Biggest Winners In The East-Med Gas Game? In other words, U.S. natural gas drillers are breaking records and are expected to replenish depleted storage levels in short order. The Marcellus and Utica shales continue to see explosive production growth. In January, the EIA forecasts output in the Appalachia region to hit 31,451 mcf/d, up 414 mcf/d from a month earlier. The Permian too is seeing rapid production growth. The EIA expects gas output in the Permian to jump to 12,736 mcf/d in January, up 258 mcf/d from December. Gas supply in the Permian has grown so quickly that the region’s pipelines are ill-equipped to handle the rush of new volumes. The wave of fresh gas supply has at times pushed regional natural gas prices in West Texas below zero. The Permian is also home to an epidemic of gas flaring. According to the FT and data from Rystad Energy, natural gas flaring in the Permian hit 209 mcf/d in 2017, a figure that ballooned to 407 mcf/d in the third quarter of 2018. Flaring levels are soaring, and could rise to as much as 600 mcf/d by the second quarter of this year. Wasted gas is an environmental disaster, but there is no sign that the problem will be resolved anytime soon. Meanwhile, surging gas production should prevent a rerun of last year’s price spike. As seasonal demand begins to ebb in a few months as temperatures rise, pressure on inventories and supply will likely fade. That leaves little room for prices to rise from current levels.